Her power: Jean Grey is both telepathic and telekinetic, meaning she can read and control the minds of others and use her own mind to move objects, make herself fly, and create psychic shields. Her already strong power is amplified when The Phoenix takes hold, and she gains the very dangerous ability to warp the fabric of reality. Her story: Inside Grey is a power that can destroy worlds, and Charles Xavier sees this when he first meets the young Jean in X-Men: The Last Stand. He puts up psychic blocks in Jean’s mind to keep this power at bay, which hold for quite a while. Jean is one of Professor X’s closest friends in X-Men, and her romantic relationship with Cyclops is threatened when the hunky, hairy Wolverine shows up at Xavier’s School For Gifted Youngsters. Jean and Wolverine’s relationship deepens when Logan joins the X-Men to stop the villainous Magneto from committing mass murder, and that fight on Liberty Island unlocks more of Jean’s power in X2. The flames of The Phoenix start burning when Jean stops a missile from blowing the X-plane out of the sky, and the flames consume her when she sacrifices herself to save her team at the end of the movie. Jean returns in X-Men: The Last Stand, but her extremely powerful alternate personality, The Phoenix, is now in charge. She kills Cyclops and Professor X, tries to get freaky with Wolverine, and decides to join Magneto’s Brotherhood in the forest, where she stands around doing very little, including when the Brotherhood attacks Worthington Labs, creator of the mutant cure, but when she finally decides to let loose, the effect is devastating. As Alcatraz Island begins to disintegrate around them, Wolverine kills Jean by stabbing her with his adamantium claws. That death is undone by the timeline change at the end of X-Men: Days Of Future Past, and Jean Grey is alive and well in the present. The new story of her past self begins in X-Men: Apocalypse, which introduces Jean in the ’80s. She teams up with the other rookie X-Men to save their kidnapped superiors, and she ultimately takes out the movie’s big villain when those familiar bird-shaped flames return and give Jean the power to wipe Apocalypse from existence. 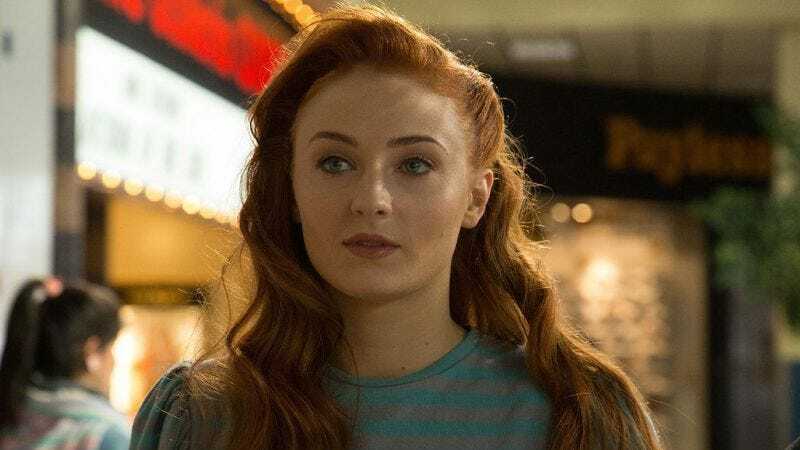 Played by: Haley Ramm (young) in X-Men: The Last Stand; Sophie Turner (young) in X-Men: Apocalypse; Famke Janssen (adult) in X-Men, X2, X-Men: The Last Stand, The Wolverine, and X-Men: Days Of Future Past. Currently, Jean Grey is: A student at Xavier’s in the past and a teacher at Xavier’s in the present. Where will we see her next? While nothing is confirmed yet, it’s very likely that Jean will show up in the next X-sequel, which is rumored to take the team into the ’90s.